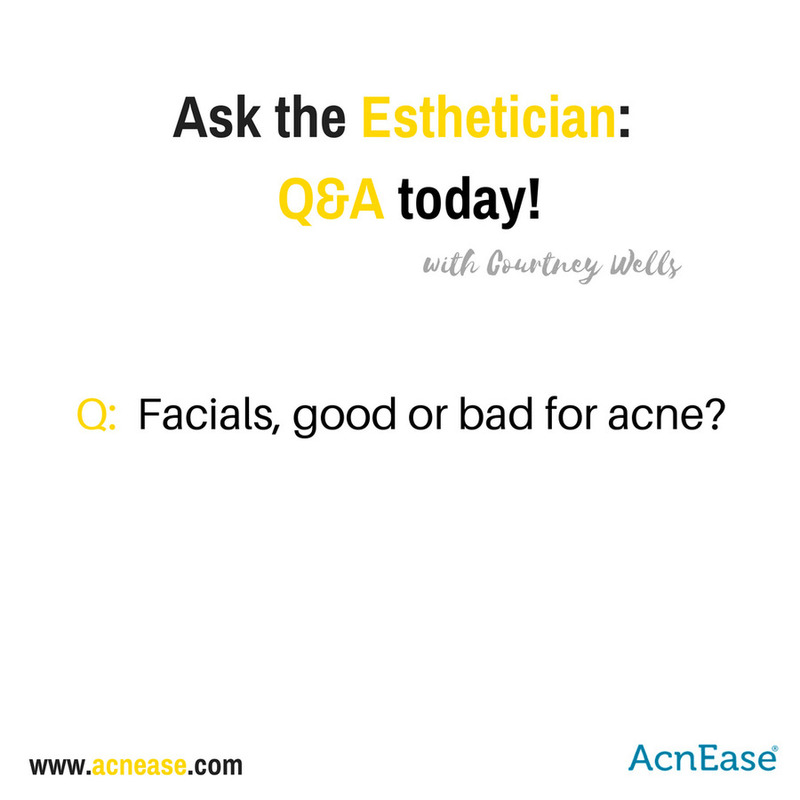 A: Everyone I know loves getting a facial. But most people think of facials as something to do on a special occasion, like for their birthday, or with the gift card their friend or family member got them. Building a relationship with an esthetician that has a wealth of knowledge about skin can truly change your condition. Try to think of facials like you would going to the gym. It’s a part of your body maintenance that shouldn't be neglected. Many clients ask me how often they should get facials and my answer is different for everyone. If you’re suffering from a condition like acne, having a facial is a bit more of an involved decision. First, if you have active cystic acne, you may want to wait until the major cysts heal at least partially (due to the level of inflammation of the cysts and the many white cells that this inflammation produces so close to the surface of the skin). For those with many blackheads and whiteheads and some mild or moderate acne breakouts, once a month is a good idea if you can swing it. If you have great skin and no serious problems, then getting a facial is good to do at least once a season. Your skin cells turn over approximately every 30 days, so getting on a regimen and care plan that aligns with this natural process can do wonders for your skin. A big part of the facial is extraction. The process of extraction actually has a lot in common with the biggest “no-no” of acne science - popping the pimple. Yet this is the professional popping of blackheads and whiteheads. Getting the pores physically extracted can help control your acne condition – also, with extraction, you can get harder sebum removed that would have eventually turned into a big inflamed pimple. But please, don’t do this at home because doing so can lead to more acne, scarring and hyperpigmentation. Professionally removing the whiteheads and blackheads allows in some instances to stop inflammation and pimple formation (for AcnEase users, these will go away). There’s a ton of preparation of the skin that goes into the professional extraction process. It is important to soften the sebum and prepare the skin thoroughly before attempting to squeeze anything – and then, closing the pores is as equally important (and should be done with a non-inflammatory toner and moisturizer). I have seen beautiful skin with broken capillaries that doesn’t recover from being unprepared, and squeezed in to oblivion. So again, don’t try it at home as most likely you’ll cause more skin damage and inflammation. As all other topical products or treatments, facials and professional extractions assist your battle with acne. They can help in preventing the worsening of the condition or in healing of some of the symptoms. 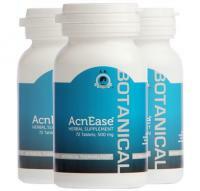 The only real way of treating acne is to break the cycle of acne formation and prevent new acne form coming. This is why I 100% back AcnEase and normally recommend it to my clients since it is a treatment that gets to the root cause internally. Acne doesn’t go away without an internal treatment – it’s an internal issue that manifests itself externally. So, back to facials. They’re relaxing and remind you to take care of yourself. Many clients have told me that having a monthly scheduled facial motivates them to continue self care in other ways of their life. Taking time to take care of your skin, turns the focus on yourself. People are very busy and get easily distracted with everything happening outside of their body. This neglect leads your body, and especially your skin, screaming out for attention. Setting a monthly reminder to focus on you and your skin sets a wonderful tone to your life. Self care is incredibly important not only physically, but also mentally. I hope this motivates you today to make a positive change. Please leave comments below and I will answer!